The Blacklist is moving! NBC just announced the TV show’s sixth season will are on Friday nights starting in January. The action thriller centers on one of the FBI’s most wanted fugitives, Raymond “Red” Reddington (James Spader), who teams up with rookie agent Elizabeth Keen (Megan Boone) in exchange for helping the authorities. The cast also includes Diego Kattenhoff, Ryan Eggold, Harry Lennix, Amir Arison, Mozhan Marnò, and Hisham Tawfiq. Season six of The Blacklist will premiere with two-hour special on January 4th at 8 p.m. ET/PT. The NBC series will then begin airing on Friday nights beginning January 11th at 9 p.m. ET/PT. · The sixth season of NBC’s “The Blacklist” will premiere with a two-hour special on Friday, Jan. 4 from 8-10 p.m. ET/PT and air regularly on Fridays from 9-10 p.m. beginning Jan. 11. 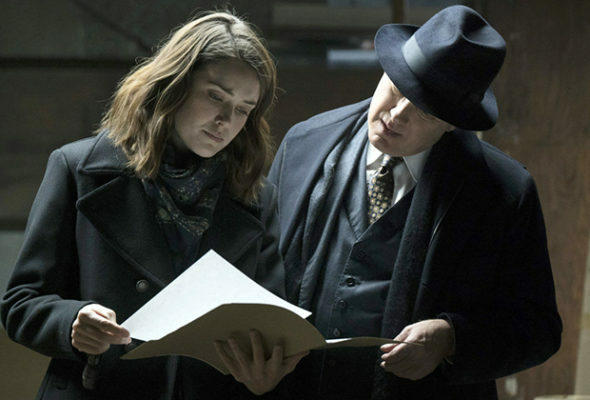 · Following the startling revelation that Raymond “Red” Reddington (James Spader) isn’t who he says he is, Elizabeth Keen (Megan Boone) is torn between the relationship she’s developed with the man assumed to be her father and her desire to get to the bottom of years of secrets and lies. Meanwhile, Red leads Liz and the FBI to some of the most strange and dangerous criminals yet, growing his empire and eliminating rivals in the process. All throughout, Liz and Red engage in an uneasy cat-and-mouse game in which lines will be crossed and the truth will be revealed. · Last season “The Blacklist” averaged a 1.6 rating in adults 18-49 and 8.6 million viewers overall in “live plus seven day” figures from Nielsen Media Research, to finish #2 in its competitive Wednesday 8-9 p.m. time period in total viewers and improve the slot by +1.4 million persons or +20% versus NBC’s year-earlier results (8.6 million vs. 7.2 million). · “The Blacklist” also stars Diego Klattenhoff, Harry Lennix, Amir Arison, Mozhan Marnò and Hisham Tawfiq. · John Eisendrath, Jon Bokenkamp, John Davis, John Fox, James Spader, Lukas Reiter, J.R. Orci, Carla Kettner and Laura A. Benson serve as executive producers. What do you think? Do you watch The Blacklist? Do you want a seventh season? More about: NBC TV shows: canceled or renewed?, The Blacklist, The Blacklist: canceled or renewed? I watch Blacklist faithfully and it is a great show. Please keep more episodes coming! plots ……..This program should ,in my opinion shoud go on for at least 4 more seasons. My husband and I watch The Blacklist without fail every Friday night. PLEASE do not end it yet. A seventh season is a MUST!!!! The is absolutely the very best show on TV!!!! One of the best shows ever, I watch it from day one and will do it again. James Spades has no equal, outstanding performance. I watch this series and enjoy it. Hope there will more series. Please dont cancel blacklist love kames spader megan boone is not needed he can carry the whole show!! Me too! NEVER miss it. If you don’t watch the first five minutes you don’t know what’s going on!